As you are probably aware of, the JWA of Hong Kong works very hard to support project- based programs with a select group of partner organizations. In this manner, we can maximize the impact of the donations and ensure that they go directly to those who need it most, not to overheads or other administrative expenses. 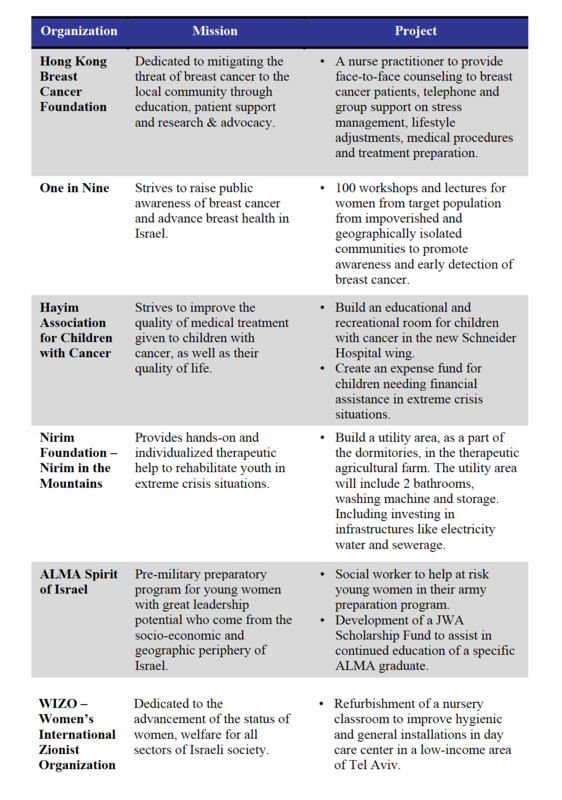 We are reaching out to you as part of our annual appeal process, in lieu of the JWA Gala or Yom Haazmout Ball. We would like to request that you continue to support the projects our partners are spearheading this year. In the page attached you can find details of these projects and a short overview of the organizations’ mission. We invite you to make your donation project-specific if you wish to do so. 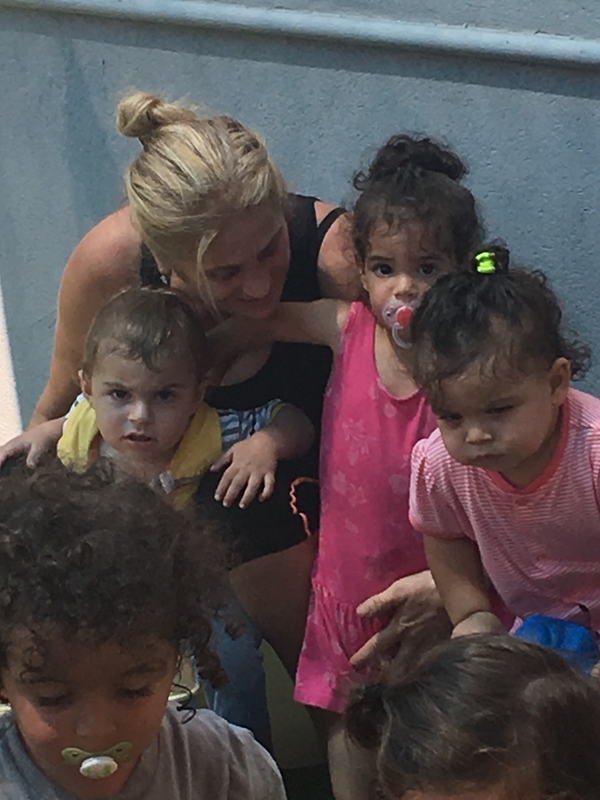 Your support is absolutely vital to women and children both in Hong Kong and Israel!!! This coming May 2019, the JWA will be holding an encore event to the very successful Women’s Evening we held several years ago. During this evening we will be celebrating the contribution of several key women in our community, recognizing that without their valuable service and contributions, the Hong Kong community would not be what it is today. We cannot thank you enough for your continued generous support. Together we have meaningful impact on the lives of others. Click here to download or view this letter as a PDF. Click here to learn more about our beneficiaries. Did you want this to be in Honor or in Memory of someone or a Special Occassion? Please insert the total dollar value wanted. Numbers only - no $ sign or letters. You MUST then CLICK AWAY from this form field for the amount to show up in the 'Total' field below.